In a message to His Holiness Patriarch Kirill of Moscow and All Russia, the Primate of the Armenian Apostolic Church expressed condolences over the death of the passengers and crew of the Russian airliner which crashed on Sinai Peninsula in Egypt. Below is the text of the message. With deep sorrow we have learnt about the crash of a passenger aircraft of the Russian company ‘Kogalymavia’, which flew from Sharm el-Sheikh to St. Petersburg, and the death of its passengers and crew. 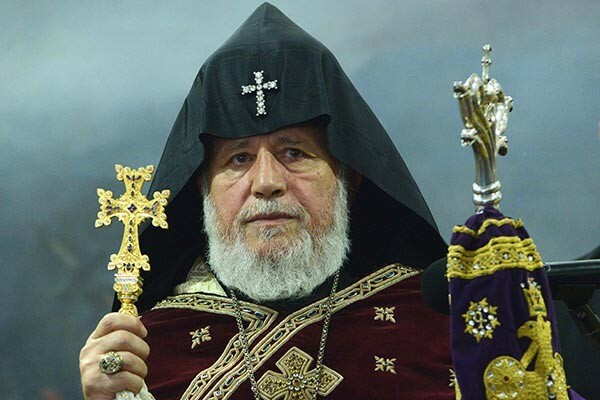 Sharing the pain of this irreplaceable loss, we express to Your Holiness and the Russian people our sincere condolences from the First Holy Throne of Echmiadzin on behalf of the Supreme Church Council and the faithful of the Armenian Apostolic Church. We pray to the Almighty that through the Holy Spirit He may give consolation to the families of the air crash victims and to all the Russian people. And may the souls of the dead find rest by God’s mercy in the heavenly hights. May our Lord Jesus Christ give you spiritual strength and physical energy to overcome this trial so difficult in the life of your flock.